Madhur Bhandarkar to Make a Movie on Star-Wives Gauri Khan, Twinkle Khanna and Mira Rajput? 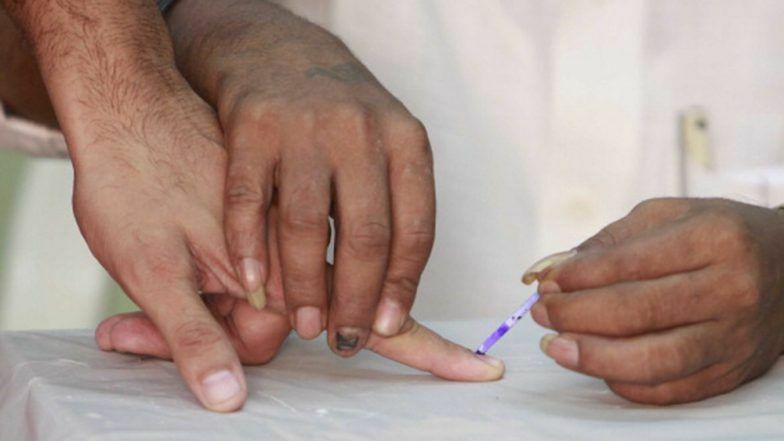 Bengaluru, April 14: Electorate in Karnataka will not be allowed to carry smart-phones or mobile phones inside the polling booth while going to vote to prevent them from taking selfies or recording videos, an official said on Sunday. "The Model Code of Conduct (MCC) prevents voters from carrying mobile phones or smart-phones and cameras inside the polling booth. In fact, no voter will be allowed to take his/her cellphone within 100 metres radius of the booth. Karnataka Lok Sabha Elections 2019 Schedule: Constituency Wise Dates Of Voting And Results For Karnataka General Elections. "They will have to leave it at home or deposit it with the police personnel before entering the booth," Karnataka Chief Electoral Officer Sanjiv Kumar told IANS. Another poll official admitted that though the MCC has had the ban provision since 2008, it was not enforced strictly during the previous elections for reasons such as manpower shortage and absence of internet-connected smart-phones with a camera. "The provision to not allow mobile phones or smart-phones inside the booth was observed more in breach in the past, as not many voters had them a decade or five years ago or carried them while going to vote," recalled senior poll official Surya Sen.
With most urban voters now using camera-wielding smart-phones, during the May 2018 Assembly elections many were caught taking selfies while casting their vote or making videos inside the booth as a proof of exercising their franchise. "This year, the security personnel have been instructed to prevent voters from carrying a mobile or a smartphone inside the booth," said Kumar. "If the security personnel are busy, the voters can leave their devices with party agents who sit outside the booths with the voter lists," Kumar added. Polling officials, security personnel and others manning booths, including presiding officers, their assistants and agents of candidates, however, will be allowed to carry and use smart-phones. Karnataka has 5.11 crore electorate, including 2.6 crore male and 2.5-crore female voters and 4,661 others. The number of polling booths in 28 seats across the state has increased 7 per cent from 54,265 in the 2014 elections to 58,186 this year. The state's 14 Lok Sabha constituencies in the central and southern regions go to polls on April 18, while the remaining 14 parliamentary seats cast their vote on April 23. The 14 constituencies polling in the first phase are Udupi-Chikmagalur, Hassan, Dakshina Kannada, Chitradurga (SC), Tumkur, Mandya, Mysore, Chamarajnagar (SC), Bangalore Rural, Bangalore North, Bangalore Central, Bangalore South, Chikkaballapur and Kolar (SC). Those in the second phase are Chikkodi, Belgaum, Bagalkot, Bijapur (SC), Gulbarga (SC), Raichur (ST), Bidar, Koppal, Bellary (ST), Haveri, Dharwad, Uttara Kannada, Davanagere and Shimoga. The votes will be counted on May 23.